10 acoustic soap-fragments, avant-trivial mix for voices, samples and handmade modulations. 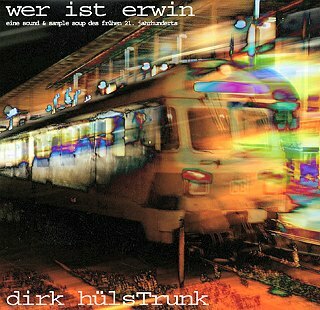 "Wer ist Erwin? "(Who is Erwin?) are a series of hypertrivial, absurd and losely connected miniscripts for imaginary Soap-Operas. Sometimes romantic, sometimes as hard as live can be, often confused. People coming and going, meeting and parting. What have Marlene, Iris, the man with the hat, Kurt, Jürgen, Manfred, Ursula to do with each other. And who is Erwin? A lot will happen. But why?